Went there early Saturday evening for a quick drink...waited ages to be served as the staff served others who walked up to the bar and when eventually served was then informed that only two ales were on despite three pump badges being shown. The 4th hand pump was not in use. Khazis were absolutely rancid on Sunday night (and before anyone asks that was before I used them). If anyone had considered ordering food before using them they would have lost their appetite. Drains need a good seeing to. Official Saturday opening was good - even had Ray Dorset from Mungo Jerry performing! 3 ales on which is good and new carpets, furniture, lighting a vast improvement although the gents loos don't seem to have changed at all! 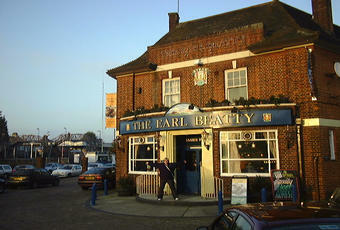 New management seems very switched on, if they keep the pub in good and clean order, inside and out, it should do well.